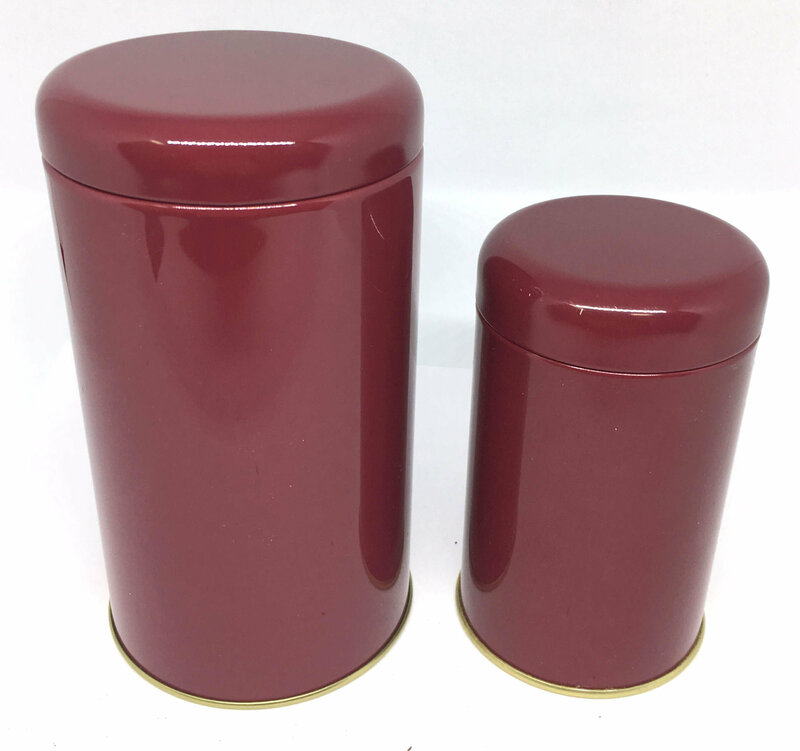 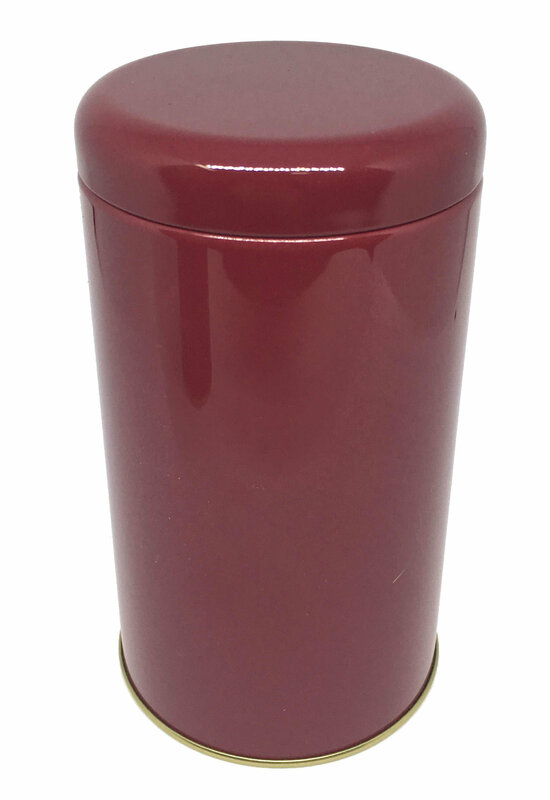 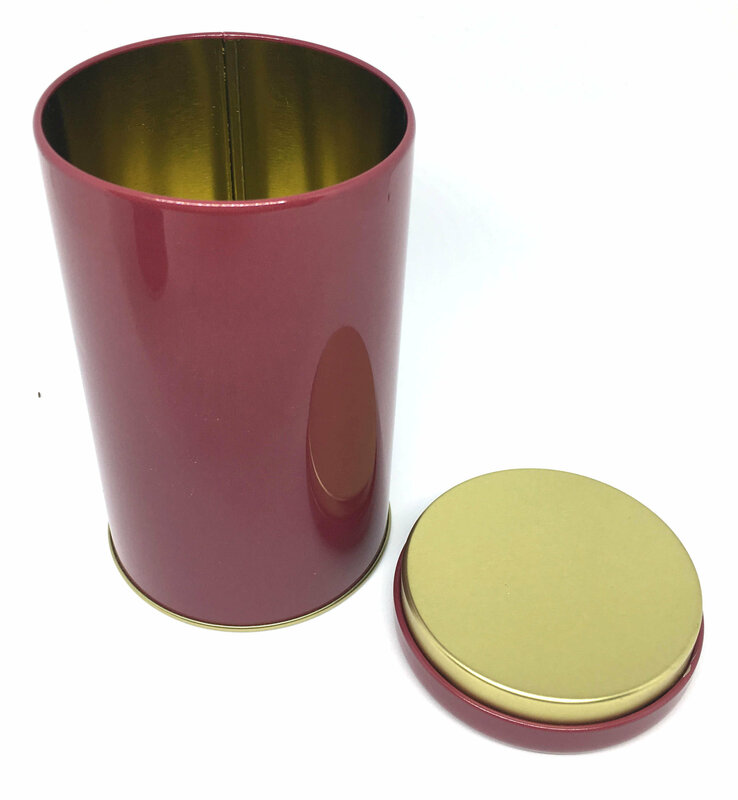 Burgundy round steel can with food grade BPA free lining and airtight lid. 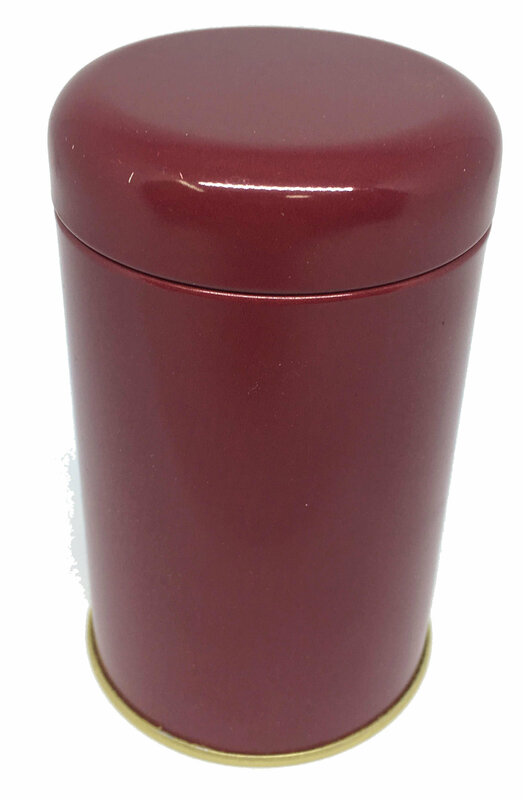 Large Size: Holds about 100g of black tea, or 50g of white or 150 of dense green or oolong tea. 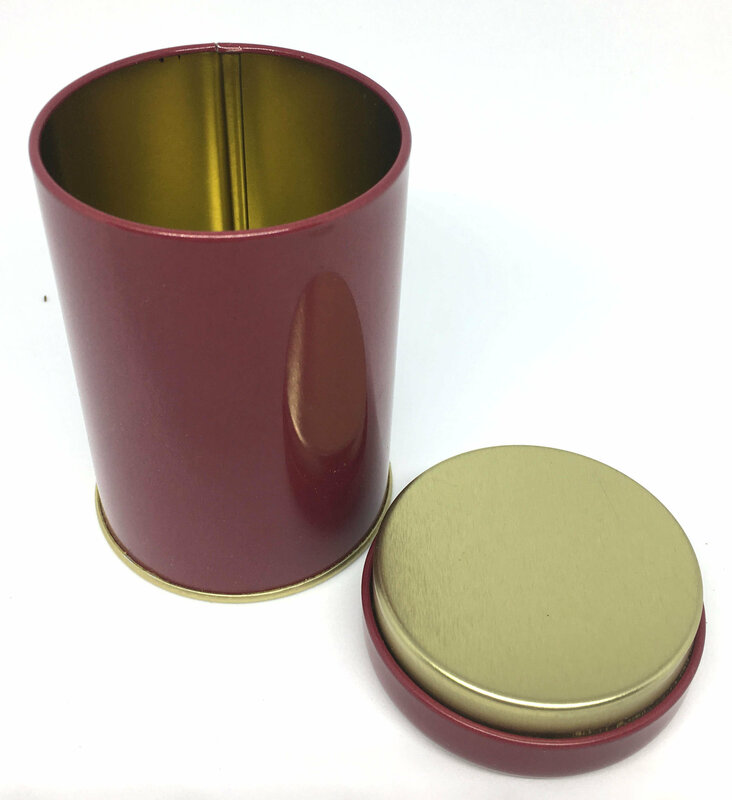 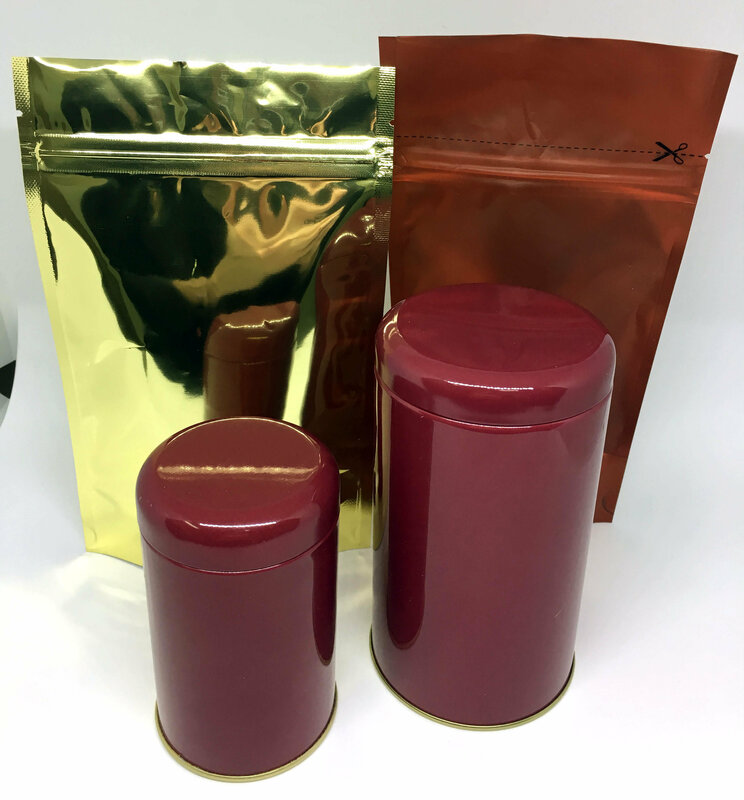 Small Size: Holds about 50g of black tea, or 25g of white or 75 of dense green or oolong tea.